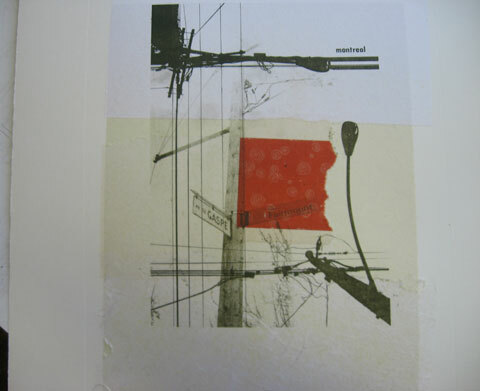 A workshop by Carlos Calado with an introduction to manual offset printing: A great technique to combine photography, text, drawings, collage. 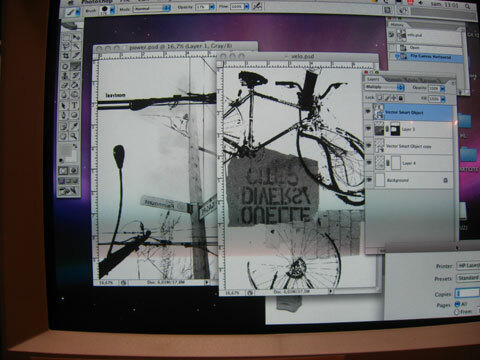 It is pretty simple: The photoshop file is printed on a polymer plate with a regular black and white laser printer. 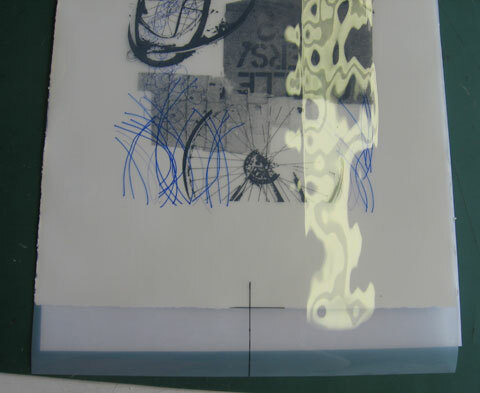 During the printing process on a regular lithography press an intervention with pens and acrylic ink is possible. 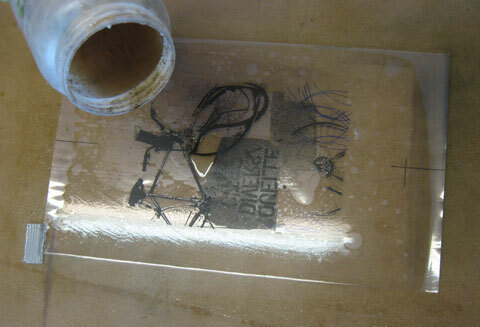 Compared to other etching printing techniques it is probably one of the least toxic as a minimum of chemicals is necessary. 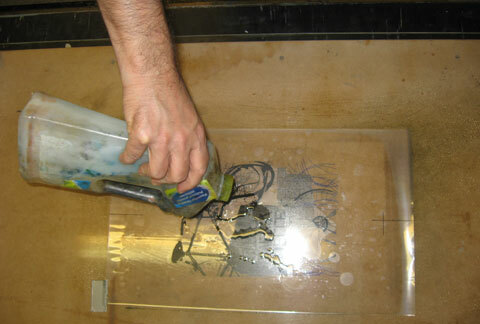 Basically, chemicals are only necessary when cleaning the ink (disolvant). 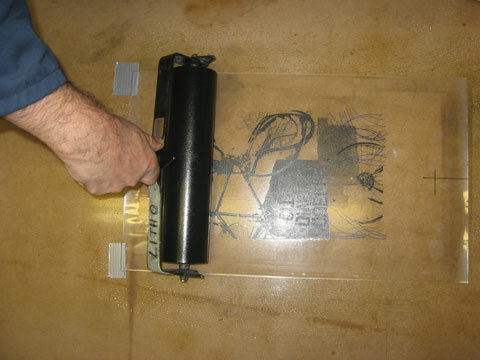 Why not simply use an inkjet printer? 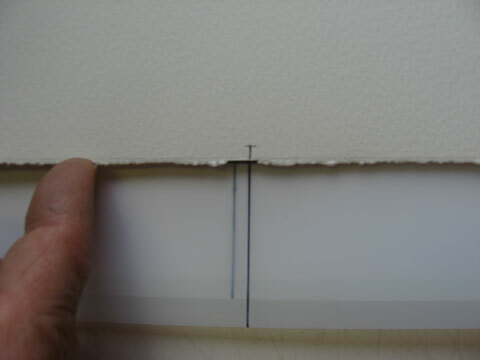 Because this lithography technique is much more unique than an inkjet print, especially when interventing on the plate during the printing process, when applying chine colle or using "embossage". 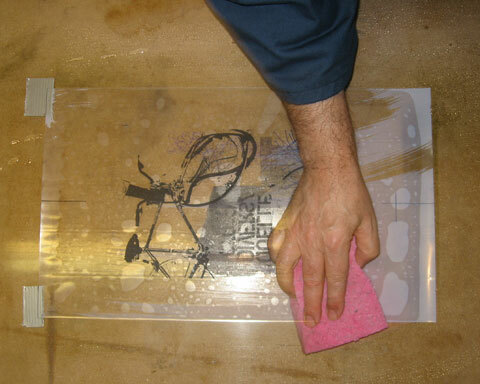 Preparing a photolithography plate with a pen: Only a few brands work properly. This technique is really interesting. But I would like to know a bit more about it, because a few things are not clear to me and it would be a good technique for me, because the lack of space. Is the paint sticks to the printed area? What are the steps? Thanks for your answers!